627, Athena Education, Pankaj Vidyalaya Building, Opp. BSNL Office Kokilaben Vyas Marg Gulbai Tekra Ahmedabad, Gujarat 380006, Ahmedabad, India 380006. 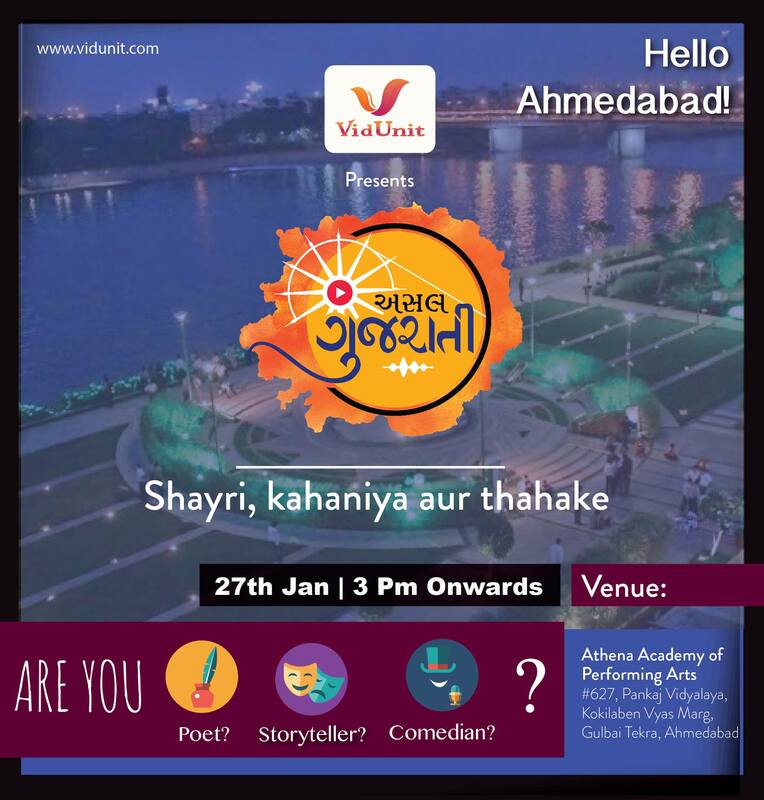 Hello Stand up comedian/storytellers/poets, After grand success of our first event in Ahmedabad we are happy to announce our next show. if you missed our first show you can register with us through google link to grab an opportunity to get featured in our next event.